Apparel. Culture. Art. Community. Those were the words stamped in bold on the bright yellow sign hanging over the shop. 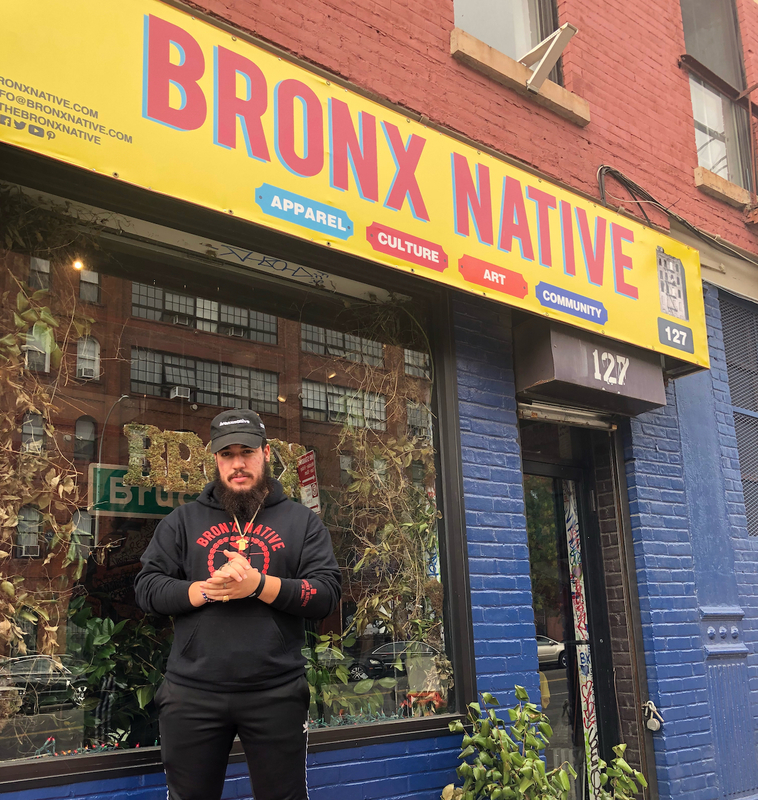 Though it started as a pop-up shop, one year later Bronx Native is still standing, thanks to its founders’ love for the borough and the communities they work in. Siblings Amaurys and Roselyn Grullon launched Bronx Native in 2016 after combing the city for clothing that represented their home borough and realized there weren’t any. Amaurys is a graphic designer and Roselyn, a fashion design student at Parsons, which led them to the conclusion that opening an apparel line as a no-brainer. However, they became set on expanding the brand to something more than a typical t-shirt business, and now host literary crawls and book clubs to promote literacy and important events in the community. Newly elected Congresswoman Alexandria Ocasio-Cortez held a campaign event at the store last year before her much-publicized upset victory. In addition, Bronx Native showcases a bi-weekly open mic, hosts art galleries and book signings for local authors. Each event brings its own niche audience to the store. “We wanted to utilize the arts to tackle issues that the Bronx goes through every day,” said Amaurys Grullon, 26. 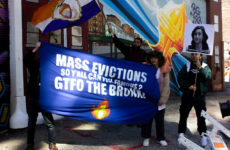 The pair hosted pop-up shops at several venues for a year before opening a shop in Mott Haven. Since then, Amarys said, sales have increased by 30 percent. Apparel art the store ranges from $15 to $40 to remain accessible for local customers, the majority of whom are people of color. 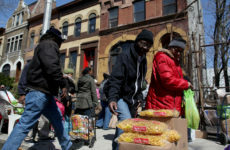 The challenge was to satisfy local customers and also cater to newcomers as the neighborhood demographics slowly change. “We’re all about inclusivity and love but primarily our audience is our people,” said Amarys. While Bronx Native Records is in its early stages, the Grullons plan on making a mixtape incorporating artists from the area. 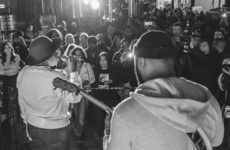 Locals say that Bronx Native is one of the first spots in the area where they could creatively express themselves and rub shoulders with fellow artists. “I couldn’t find anything like this in the Bronx. We usually have to go downtown to places like Bowery Poetry Club. I get to showcase my talent and create every 2 weeks. And I connect with a lot of the artists I meet here,” said Robert Cortijo, who performed at the anniversary event under the stage name Amere Soul. The 5,000 square feet business has gained way more traction than it can hold. Bronx Native has support from the likes of comedy duo Desus and Mero, rapper Fat Joe and New York Knicks player Kristaps Porzingis. Although the shop is tucked away in a corner of Bruckner Boulevard, the sisters’ clothing line does the talking about their business even when word of mouth doesn’t.